A Missouri woman captured this incredible photo of a phenomenon that has been dubbed a "firenado" while she was driving down a country road near the town of Chillicothe last weekend. "This had to be the coolest/scariest thing I've ever seen," Janae Copelin wrote on her Instagram page. 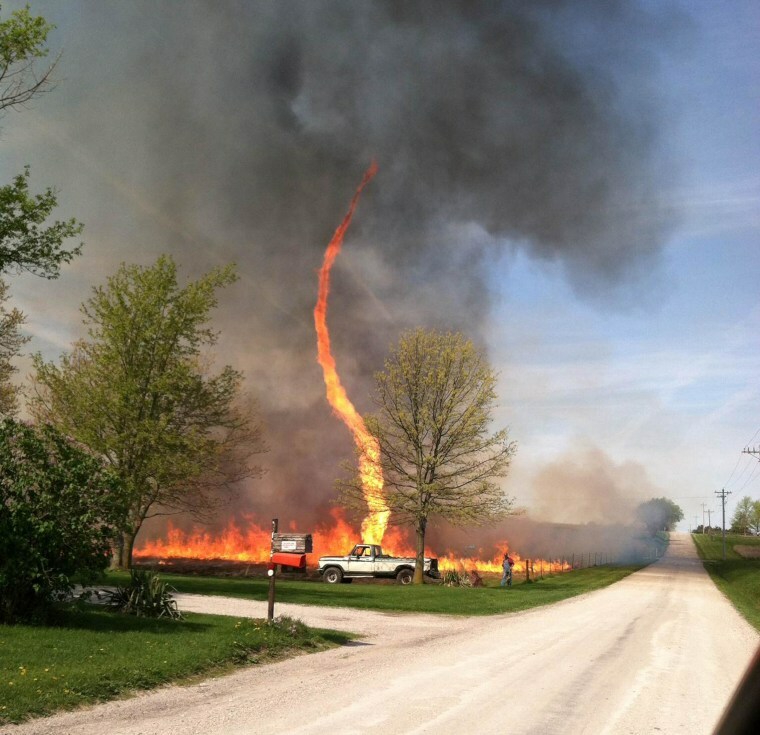 "A farmer burning off his field and as we stopped so I could take a picture the wind whipped up this fire twister." Firewhirls turn and burn. They are rapidly spinning vortices that form when air superheated by an intense wildfire rises rapidly, consolidating low-level spin from winds converging into the fire like a spinning ice skater, pulling its arms inward.The typical firewhirl can grow to about 100 feet tall, but is very narrow, on the order of a couple of feet wide. Researchers in Australia documented the process of "pyro-tornadogenesis" for the first time after analyzing evidence collected during a wildfire in Canberra in January, 2003.